Telling a client's story through mitigation is more than just following a checklist of assignments or looking for archetypical factors that have worked in the past. The practice of mitigation requires a malleable and inconstant strategy because mitigation is sui generis in every case and has an enigmatic essence. However, recognized guidelines help to broadly direct mitigation specialists and defense teams. Russell Stetler points out that mitigation is an art that cannot be narrow, linear, or singular in technique. Russell Stetler, Mitigation Evidence in Capital Cases, 7, 14-15 (n.d). Professors John Blume, Sheri Lynn Johnson, and Scott Sundby state that mitigation must be a multi-faceted and multi-disciplinary approach that stresses broad consideration, creativity, and deep thinking. John H. Blume, Presenting Mitigation, 36 Hofstra L. Rev. 1035, 1036 (2008). Since each client is unique, there can be no cookie-cutter approach. Id. at 1043. For these reasons, each mitigation investigation and its findings will have a sui-generis quality. Moreover, mitigation specialists are individual in their educational disciplines and experiences, and there should be no attempt to homegenize their backgrounds. Mitigation specialists may be, but are not limited to, lawyers, social workers, psychologists, journalists, educators, or even area-studies scholars, and they may have worked on state or federal cases, single or multiple murders, and trial or habeas stages. Therefore, each mitigation specialist may have developed an approach and methodology from which to work, but he also works differently from others and from himself in each case. His particular methodology may work well for him while another methodology has been successful for others. However, in spite of diversity in background, skill-level, and approach, all mitigation specialists understand that the goal of mitigation is to humanize the client, to present him as a member of the community and society, and to show his diminished autonomy caused by biological, social, and psychological influences. Mitigation has an enigmatic essence. The Supreme Court of the United States has intentionally left mitigation's definition open-ended to fit the circumstances and characters of each individual case, to incorporate changing knowledge and ways of seeing, and to encourage subjectivity of the fact finder. Although some authoritative cases and guidelines attempt to define what is mitigating, the Court continues to recognize that mitigation evidence is "potentially infinite" and even "anything under the sun." See Ayers v. Belmonte, 127 S.C. 469, 478 (2006); Locket v. Ohio, 438 U.S. 586, 631 (1978) (Rehnquist concurring in part and dissenting in part). Professor Craig Haney points out that between 1976 and 2005, "the historical record shows the [Supreme] Court had moved from merely mentioning mitigation (without defining the term or even commenting on the fact that none had been presented in the cases it was deciding) to reversing a death sentence on the basis of trial counsel's failure to conduct an adequate background and social history investigation." Craig Haney, Imagining Mitigation, 36 Hofstra L. Rev. 835, 855 (2008). When it comes to understanding mitigation's development, a review of the Supreme Court's classical mitigation case law is enlightening. These cases include: Gregg v. Georgia (1976), Woodson v. North Carolina (1976), Lockett v. Ohio (1978), Eddings v. Oklahoma (1982), Skipper v. South Carolina (1986), California v. Brown (1987), Penry v. Lynaugh (1989), Williams v. Taylor (2000), Wiggins v. Smith (2003) and Rompilla v. Beard (2005). In these cases, the Supreme Court defined mitigation (1) vaguely, then (2) broadly, then (3) specifically, then (4) mandatorily, and then (5) normatively, giving defense teams some direction of what must be done, at the very least, during mitigation. 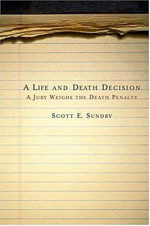 In Gregg v. Georgia, the Court endorsed mitigating circumstances as part of the decision-making process in death-penalty-sentencing trials, balancing aggravation and mitigation. It was vague, however, about "exactly what the concepts of mitigation or aggravation meant, why they were important to include in a constitutional scheme of death penalty decision-making, or precisely how capital jurors were supposed to use them in choosing between life and death." Id. at 846. Nevertheless, the Court stated that "youth, the extent of [the defendant's] cooperation with the police, and his emotional state at the time of the crime" might constitute mitigation. Gregg v. Georgia, 428 U.S. 153 (1976). In Woodson v. North Carolina, the Court stated that "relevant facets of the character and record of the individual offender" along with compassionate or mitigating factors stemming from the diverse frailties of humankind can be mitigating. However, the Court did not specify which diverse frailties it had in mind or how such frailties could generate compassion or qualify as mitigation. Woodson v. North Carolina, 428 U.S. 280 (1976); see also Haney at 846. In Lockett v. Ohio, the Court believed that the juror's decision-making process must respect the uniqueness of the individual and defined mitigation broadly. It stated that mitigating factors are "any aspect of a defendant's character . . . that the defendant proffers as a basis for a sentence less than death." The Court understood that the juror must be in possession of the fullest information possible concerning the defendant's life, but it gave no substantive guidance about what life-related issues or evidence might be mitigating or why. This Lockett-Doctrine is extremely generous because it allows the defendant to offer any evidence that might serve the juror as a basis for making a sentencing-decision less than death. However, as Haney points out, "it did not suggest how or why a juror could or should actually be inclined by the evidence to lean in this more merciful direction." Lockett v. Ohio, 438 U.S. 586 (1978); see also Haney at 847. In Eddings v. Oklahoma, the Court began to flesh out specific aspects of a defendant's life that was undoubtedly mitigating evidence. Importantly, the Court said that mitigation does not have to suggest an absence of responsibility for murder in order to be a relevant mitigating factor of great weight. It cited as particularly relevant young Monty Edding's troubled youth, lack of parental supervision, turbulent family history of beatings by a harsh father, and severe emotional disturbance. But the Court "stopped short of providing a general mitigating rationale on which lawyers could rely in other capital cases" as typical and particularly relevant. Eddings v. Oklahoma, 455 U.S. 104 (1982); see also Haney at 850. In Skipper v. South Carolina, the Court held that information not specifically related to the defendant's culpability for the crime he committed could be mitigating to serve as a basis for a sentence less than death. In particular, the Court embraced redemption and post-offense good adjustment in jail as mitigating facts. Skipper v. South Carolina, 476 U.S. 1 (1986). In California v. Brown, the Court stated that the defendant's background and family history are specifically relevant to mitigation. It said that there is a long-held belief in society that "defendants who commit criminal acts that are attributable to a disadvantaged background or his emotional and mental problems, may be less culpable than defendants who have no such excuse." Understanding someone's disadvantaged background or their emotional or mental problems is "central to the moral inquiry into the culpability of the defendant." California v. Brown, 479 U.S. 538 (1987); see also Haney at 850. In Penry v. Lynaugh, the Court stated that Lockett and Eddings had mandated the principle that punishment should be directly related to the personal culpability of the criminal defendant, which could only be assessed if certain aspects of the defendant's background, such as his history as an abused child, could be given mitigating effect. It believed that full consideration of evidence that mitigates the death penalty is essential if the jury is to give a reasoned moral response to the defendant's background, character, and crime. Penry v. Lynaugh, 492 U.S. 302 (1989); see also Haney at 850-51. In Williams v. Taylor, the Court found that investigation must inform counsel's strategic decisions, and counsel cannot simply rely on hunches and assumptions. Furthermore, it determined that although investigation may reveal bad facts, these bad facts might be good facts when viewed as mitigating. It declared Williams's lawyers as ineffective because they failed to properly investigate and present his nightmarish childhood, including: alcoholic parents, a home filled with trash and feces and urine on the floor, an abusive father who beat Williams regularly, and an abusive foster home. Moreover, Williams was "borderline retarded, and might well have influenced the jury's appraisal of his moral culpability." Williams v. Taylor, 529 U.S. 362 (2000); see also Haney at 851. In Wiggins v. Smith, the Court definitively stated the importance of developing and, when appropriate, presenting the defendant's social history. It stated that counsel must make efforts to discover all reasonably available mitigating evidence. Wiggins's mother was an alcoholic who left him and his siblings "home alone for days, forced them to beg for food and to eat paint chips and garbage." She physically abused him so badly that he had to be hospitalized. After being placed in several foster homes, he was repeatedly raped and molested, and he suffered sexual abuse at the hands of a Job Corps supervisor. This excruciating life history could have tipped the scales, according to the Court, and "there was a reasonable probability that at least one juror would have struck a different balance." It stated that a social history should not be rudimentary and developed from a narrow set of sources, but, in repeating the ABA Guidelines as "well- defined norms," it must include medical history, educational history, employment and training history, family and social history, prior adult and juvenile correctional experiences and religious and cultural influences. Wiggins v. Smith, 539 U.S. 510 (2003); see also Haney at 851-53. In Rompilla v. Beard, the Court reaffirmed Wiggins by stating that counsel must conduct a comprehensive and vigorous social history investigation despite the defendant's statement that he had "an unexceptional background." Although counsel had done some investigation, it failed to examine the defendant's school records, records of his juvenile and adult incarceration, or the case file of a prior offense that the prosecutor had given notice he intended to introduce into the penalty trial. Moreover, counsel failed to interview a number of key family members who had very powerful mitigation information to share. Had the lawyers looked deeper, they would have learned about how the defendant grew up in a slum area, struggled in extreme poverty, lived in a home without indoor plumbing, slept in the attic with no heat, dressed without decent clothes, but with only rags to wear. Rompilla grew up terrified because his parents were violent alcoholics, and his father beat him with his hands, fists, leather straps, and sticks and locked him in a small dog cage filled with excrement. The Court found that had the jury known of this mitigating evidence, it might have influenced their appraisal of his culpability. Rompilla v. Beard, 545 U.S. 374 (2005); see also Haney at 853-55. In 2003, the American Bar Association (ABA) published its Guidelines for the Appointment and Performance of Defense Counsel in Death Penalty Cases, which sets forth a national standard of practice to ensure high quality representation for all persons facing death-penalty charges. Guideline 4.1 states that the "defense team should consist of no fewer than two attorneys . . . an investigator, and a mitigation specialist." ABA, Guidelines for the Appointment and Performance of Defense Counsel in Death Penalty Cases: Guideline 4.1 28 (2003). As an indispensible member of the core defense team, the mitigation specialist (1) compiles a comprehensive and well-documented life-history of the client based on an exhaustive investigation, (2) analyzes the significance of the information for developmental impact on the client's personality and behavior, (3) builds mitigating themes, (4) identifies the need for experts and helps to locate them; (5) provides information to experts for competent and reliable evaluations; and (6) helps the defense team to develop a comprehensive and cohesive case in mitigation. Id. at 33. The mitigation investigation should begin as early as possible because it can affect investigation in the guilt/innocence phase, considerations of experts, motion practice, and plea negotiations. Mitigation should include, but is not limited to: (1) medical history; (2) family and social history; (3) educational history; (4) military service; (5) employment and training history; and (6) prior juvenile and adult correctional experience. ABA, Guideline 10.7, Commentary at 81. The Supplementary Guidelines for the Mitigation Function of Defense Teams in Death Penalty Cases articulates prevailing standards of performance in mitigation practice so that failures, as in Wiggins, will not be repeated. The Supplementary Guidelines detail the necessity of an exhaustive multi-generational, life-history investigation to humanize clients and reveal their human frailties, which are so crucial to reliable sentencing. See Supplementary Guidelins for the Mitigation function of Defense Teams in Death Penalty Cases, 36 Hofstra L. Rev. 677 (2008); Seach D. O'Brien, When Life Depends on It, 36 Hofstra L. Rev. 693, 694-97 (2008). While the Supplementary Guidelines expands on the definition of mitigating evidence, it recognizes that it is not limiting what incorporates mitigation; hence tacitly recognizing the enigmatic essence. According to the Supplementary Guidelines, mitigating evidence includes: (1) compassionate factors; (2) ability to positively adjust to prison-life; (3) realities of prison-life and the meaning of a life-sentence; (4) capacity for redemption; (5) remorse; (6) execution impact; (7) vulnerabilities due to mental health; (8) behavioral patterns; (9) negation of aggravating evidence; (10) positive acts or qualities; (11) responsible conduct in other areas of life, such as employment, education, military service, and family; (12) degree of moral culpability; and (10) anything else to support a sentence less than death. Supplementary Guidelines, Guideline 1.1 at 679. The Supplementary Guidelines states that competent life-history must be supported through triangulation, or the linking of data to other supportive data. Documentation, lay witnesses' accounts, and experts' analyses should be combined and interwoven to corroborate one another and to create a harmonious theme of mitigation. O'Brien at 721-32. Moreover, the Supplementary Guidelines describes the skills-set of the mitigation specialist, which could be found in many academic disciplines and professions. The emphasis is on "performance rather than pedigree." Id. at 741. The mitigation specialist should be able to (1) overcome emotional and psychological barriers; (2) build rapport with clients and witnesses; (3) conduct field interviews effectively; (4) screen and perceive general signs of mental disorder; (5) be culturally competent; and (6) communicate data so that it can tell a persuasive story of the client's life. Id. at 733-58.